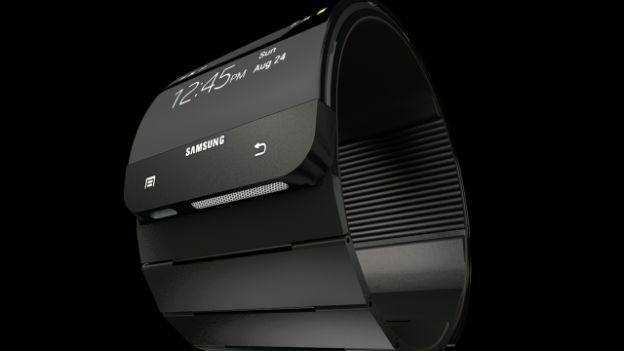 Following long-standing rumours around the arrival of an Apple iWatch, today we're expecting Samsung get in on the latest trend for wrist-borne smarts with the launch of the much-talked about Samsung Galaxy Gear. So in this battle for our forearms, how can the big brands make their wearable tech stand out from the crowd? In Samsung's case an alliance with a big sporting brand like Adidas would be the truly smart thing to do argues T3 Editor-in-chief, Kieran Alger. This week a pair of Adidas Boost trainers landed on my desk. The shoes - featuring Adidas' new foam-sole technology - were sent over by Adidas along with a note recommending I use them to help give me some extra energy while trawling the halls of Europe's biggest tech show IFA, to bring you all the news and launches. This surprising random act of kindness struck me as interesting for a few reasons. Number one: I've been attending tech shows like CES, IFA and MWC for over five years now and Adidas has never before shown an interest in keeping my feet comfy while I'm there. Number two: As far as I'm aware, the German sports giants have also never shown an interest themselves in this huge consumer electronics show in Berlin. So what's going on? Why the sudden attention? Allow me to speculate. Today we're expecting to see the unveiling of the new Samsung's new smartwatch – tipped to be called the Samsung Galaxy Gear. When it comes to smartwatches I'm a firm believer that one of the most obvious uses is for fitness, activity and GPS tracking. It wouldn't surely then be too much of a leap – bearing in mind my aforementioned MiCoach-ready trainer surprise – to anticipate Samsung teaming up with a huge sports brand like Adidas to launch their new device as a collaboration. For me it makes total sense and would be an extremely astute move from both brands. Samsung has enormous global tech reach but little representation in the sports and fitness world. In my opinion, with the success of any smartwatch relying on breaking the sports, fitness and health market this would tick a lot of boxes. Not to mention adding a nice Adidas sporting and street cred halo to any Samsung product. It'd essentially legitimise the new smartwatch in the eyes of loyal Adidas fans and users. On the flipside, Adidas is a brand with an emerging technology story to tell. The recent launches of the Adidas MiCoach football and its new football apps demonstrates this, as does the activity of Adidas' main competition - Nike's. The big sports brands are in a battle to develop their tech credentials and be seen as innovators, and a tie-up with the world's leading smartphone manufacturer would do Adidas' case no harm at all. A collaboration between the two would send a very clear message about what the device is for, and a simple answer amid all the questions about why we need a smartwatch. The answer would be: to help you get fit and stay healthy. It would also offer Samsung very welcome access to Adidas' existing MiCoach Android app user base and fitness community, while providing Adidas with a powerful antidote to Nike's cosy relationship with Apple. Look back at the recent Samsung Galaxy S4 launch and you'll find more evidence to support the case for this partnership. Among the native apps that arrived with the S4 was Samsung's S Health – an activity tracking app designed to help people monitor everything from steps, to runs and calorie intake. Samsung clearly has an interest in this area but in a crowded market that already features the likes of Endomondo, Jawbone, Fitbit and Nike+, standing out with an own brand app feels like an uphill struggle. Incorporating the S Health functions into the new smartwatch and putting it under the Adidas MiCoach branding solves that problem. From an Adidas perspective it also removes their need to create a competitor to the Nike Fuelband. This smartwatch wouldn't just be a GPS tracker, it'd also be an instant Fitbit, Jawbone, Fuelband and Withings Pulse killer. At the same time, the ability to control Android apps like Spotify from your wrist would propel this device ahead of other single-function GPS trackers like the TomTom Runner and would make it far more feature-rich than the limited Fuelband. Add to that the combined marketing power of two of the world's biggest brands and you've got a very solid platform for launch. Admittedly both companies are more than capable of going it alone but connecting the existing Adidas MiCoach community with Samsung's technological prowess and you're looking at what most people would call a win-win. For my money it's a match made in fitness tech heaven. A Samsung-Adidas smartwatch would give a lot of people plenty to think about, not least Apple and Nike. Is the Samsung Galaxy Gear the best smartwatch we’ve seen so far?